Hamilton Burr is selected for the Scotland U20 extended squad. 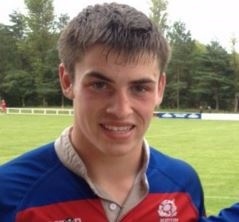 Hamilton Burr, who started his rugby career at Aberdeen Wanderers has been selected as part of the Scotland U20 extended squad in preparation for their up and coming 6 Nations fixtures. Hammy started playing mini rugby at Aberdeen Wanderers. He then went on to play youth rugby to Under 18 level at the club before moving to Gordonstoun. He spent the following year working with the Melbourne Rebels before returning to his home town of Aberdeen. He currently plays his club rugby for Aberdeen Grammar and assists coaching youth rugby back at Aberdeen Wanderers in his spare time. For full details of Scottish Rugby's announcement, see the following article.  Winter Training Locations Announced Please check where training will be held over the next month by looking at the Winter Training Locations Document.